Jim Koch, another Photo Exchange member, was also juried into the 2nd City Council members exhibit. This time I should get the exhibit opening right; the exhibit openings is Saturday, June 7th. Jim writes this about his image; This was done as a class assignment for John Hesketh’s ‘Color Management course at Orange Coast College in 2002. 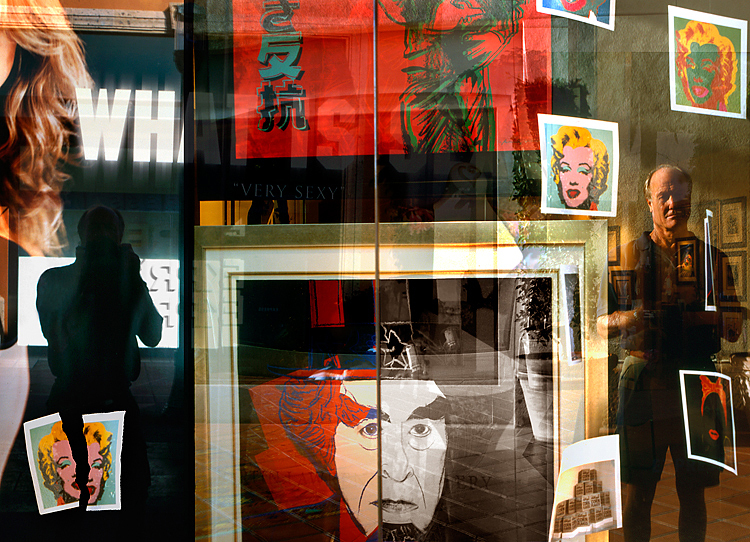 I photograhed store window displays at Fashion Island (Newport Beach, CA) with a Pentax 67 using trnsparency film, scanned the selected images and blended them together in Photoshop then tweaked the images in PS. I guess it’s a double self-portrait, of sorts.